If you’re texting, making calls or trying to update your social media status behind the wheel, you need to pull over. This is a prime example of distracted driving. It’s also unsafe, putting yourself and others at unnecessary risk. Not that the technology available to consumers today makes it any easier to curb distracted driving. If anything, it’s made it worse. 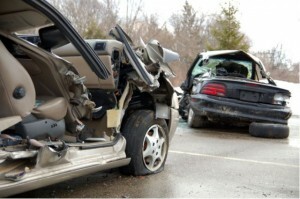 It’s important for every driver to cut down on distracted driving. In the first half of 2016, car fatalities increased 10.4 percent, with 17,775 people losing their lives on the roads because of auto crashes, according to National Highway Traffic Safety Administration (NHTSA) stats. While the rise in auto-related deaths isn’t solely due to distracted driving, safety official are concerned about the kinds and amounts of technology that contribute to distracted driving. Almost every major automaker touts its infotainment and connectivity technology, seeking to one-up the competition. Apple CarPlay and Android Auto allow drivers to utilize many of their smartphone’s features through the vehicle’s interface. Even though automakers like General Motors are focusing on enabling hands-free smartphone capability, hands-free does not mean distraction-free. Another problem with this technology is that drivers can become complacent, feeling a false sense of security because they’re not using their hands to conduct activities on their phones. 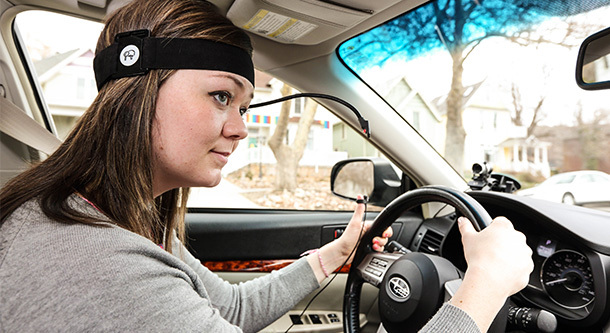 When the human brain is concentrating on having a conversation, it’s not focused on driving. That can lead to missing exits, being too distracted to react quickly to dangerous conditions, speeding or going too slowly for traffic, crossing the line and veering into oncoming traffic, rear-ending the car ahead, hitting a pedestrian or animal, and more. 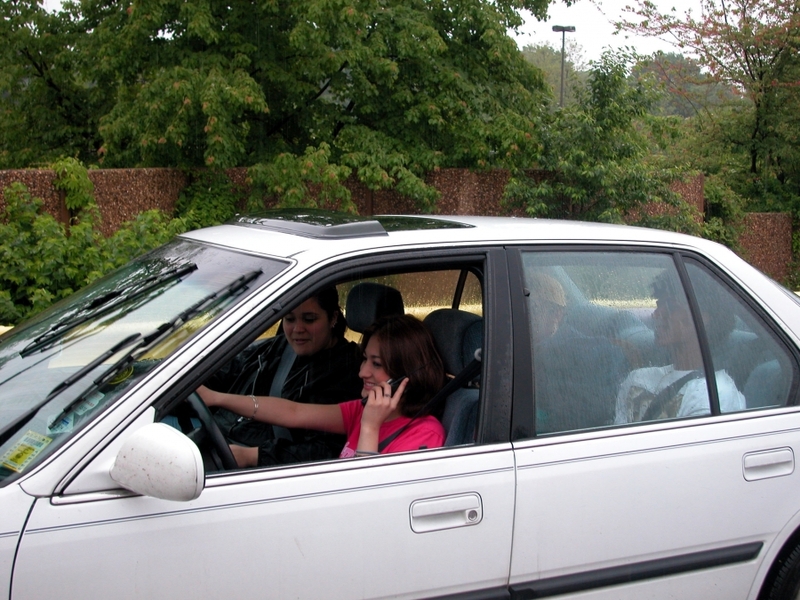 Some states are working on ways to cut down on distracted driving. For example, in New York there’s a pending law that would ban drivers from either texting or talking on a cellphone while stopped at a traffic light. Under the current law, such activities are prohibited only when the car is in motion. In New Jersey a pending bill would give police approval to issue drivers a summons if they’re spotted doing anything “unrelated to the actual operation of the vehicle, in a manner that interferes with the safe operation of the vehicle.” This might include anything from applying makeup to reaching in the backseat to retrieve an article, and fiddling with a beverage in the console to talking and texting on smartphones. However diligent they might try to be in enforcing laws aimed at dealing with distracted driving, law enforcement officials face a dilemma. Is the individual observed talking on a cellphone or just holding their hand up to their head? Are they looking down at a phone or laptop in their lap, or trying to adjust something on the steering wheel? Tinted windows also pose a barrier to being able to clearly observe what a driver is doing, especially on busy roads and highways. Some folks sing while they’re driving, which can look like they’re engaged in a phone conversation when they’re not. Still, the problem of distracted driving isn’t going away anytime soon. More must be done to deal with it effectively. While you can’t do much about the driver next to you who’s busy talking or texting, there are things you can do to help cut down on your own distracted driving. Turn off your phone or put it on auto-answer when you’re behind the wheel. Know where you’re going before you get behind the wheel, so you’re not trying to view maps or navigation screens while driving. Use your car’s voice-navigation feature, if available. If you need a refreshment, pull over to drink that cup of coffee or soda. Trying to maneuver hot coffee or a bulky beverage cup while driving takes your mind off the road and reduces your ability to drive safely. Put yourself in the right frame of mind when you get behind the wheel. Don’t drive when you’re angry, upset, in a hurry or feeling ill. You need to focus on your driving, nothing else. Allow extra time to get to your destination. This is especially important during inclement weather and during times of poor visibility, at dusk, dawn and nighttime driving. If the conversation of others in your vehicle is taking your mind off your driving, ask them to tone it down or not include you in the conversation. If the discussion is important, pull off the road to a safe spot to continue talking.